NBC News/Joe ScarniciThis is NBC Nightly News anchor Lester Holt’s ninth time covering the Olympics. NBC Nightly News anchor Lester Holt has reported on The Olympics since the 2002 Salt Lake City Winter Games. Holt says the games transcend politics and bring people together. 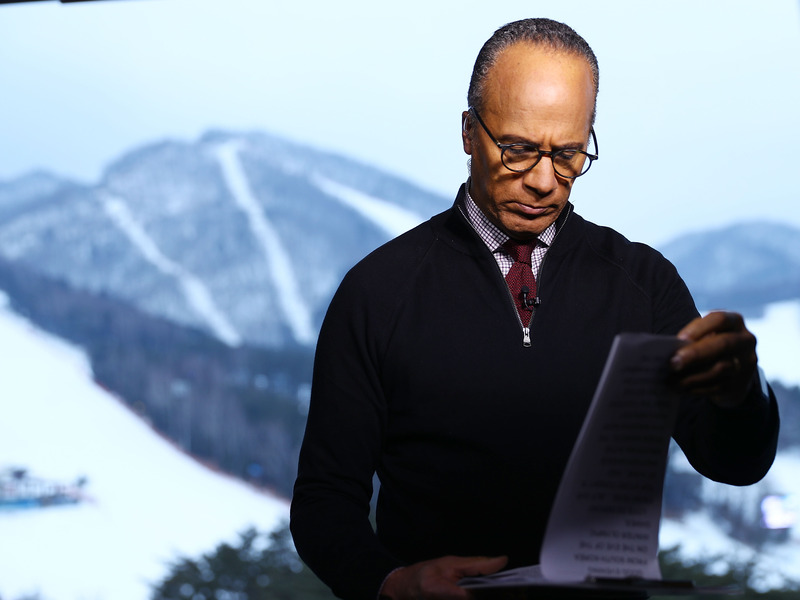 NBC Nightly News anchor Lester Holt continued his run of Olympic coverage with reporting at the Pyeongchang Winter Olympic Games last week, his ninth opportunity to cover the games. Holt, who began covering The Olympics at the 2002 Salt Lake City Winter Games, feels the event acts as a unifying force for participants and viewers. The ability for the Olympics to bring people together seems important, especially at a time when American politics is more divided than ever. Still, the games aren’t completely devoid of politics. Over the weekend there was political intrigue surrounding Vice President Mike Pence and Kim Jong Un’s sister, Kim Yo Jong, during the opening ceremony. The two sat in the same box but didn’t shake hands or acknowledge each other. Pence didn’t have to sit in the same box, but reportedly wanted to make a political point, exhibiting solidarity with Japanese Prime Minister Shinzo Abe and South Korean President Moon Jae-in. And American figure skater Adam Rippon, who is the first openly gay athlete on the US Winter Olympics team, vocally turned down a meeting with Pence, criticising his record on LGBTQ rights. But Holt says overall the feeling on the ground is noticeably less political during the games, and it offers reporters the opportunity to focus on the athletes that make the games possible.